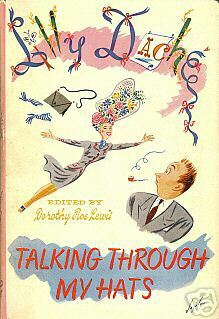 I've just finished reading Lilly Dache's autobiography "Talking Through my Hats"- spectacular! It was written just after World War II, around the same time this photo was taken. 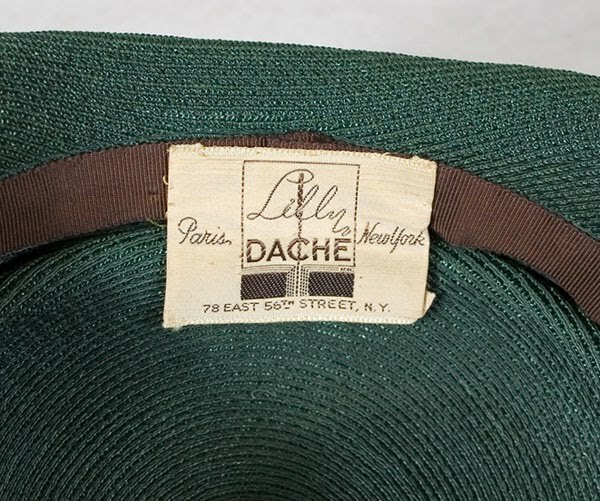 Lilly Dache apprenticed with a milliner in France as a teenager, at 18 years old moved alone to New York City with $13 in her pocket, and within a year was running her own millinery shop, with minions. 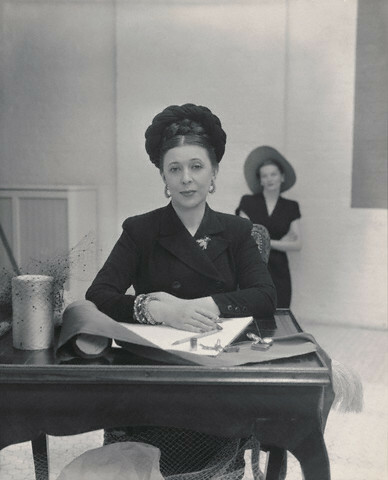 She quickly built up an empire and went on to become one of (if not *the*) best known milliners in the US. She and ran it from her custom-built 7-story building in Manhattan, filled with workshops, leopard print upholstery, fitting rooms decorated differently to flatter ladies with different coloring, and a penthouse on top to live in with her hunky husband. 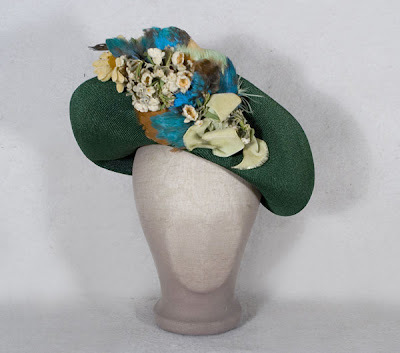 Although she did sell hats through department stores all over the country, she ran her own shop in New York as a model millinery- customers would choose from a number of styles aka floor models, and a fresh one would be made for them in their size. Or, the customer could order something custom for a unique style. People couldn't just walk in off the street- you had to apply to be a customer, and come with a recommendation from a current customer. 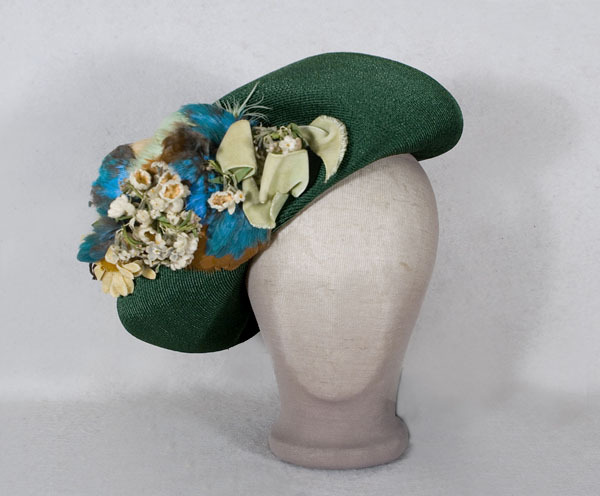 Dache was famous for making flattering, romantic styles with masses of flowers and trim. 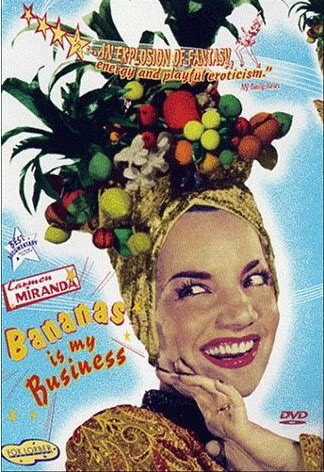 She made lots of hats for celebrities (on and off stage/screen), including Carmen Miranda's famous fruit headdresses. She helped popularize turbans in the late 1930s and early 1940s. 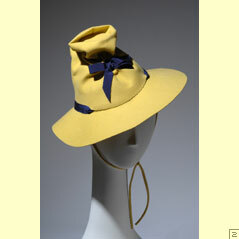 She also made the tailored, sporty styles from around that time that are my favorite hats. She made a zillion dollars and was really nice and really happy. *sigh* The whole thing has left me feeling envious and starry eyed and makes me want to get down to business. But before I do that, let me introduce you to a Lilly Dache hat. 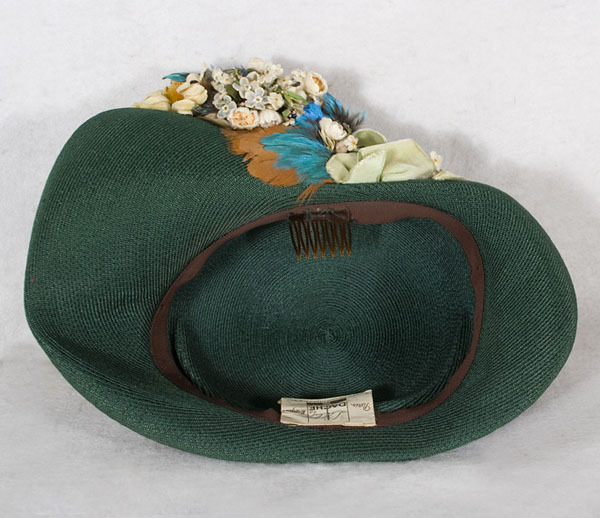 This hunter green straw is probably from the 1940s. 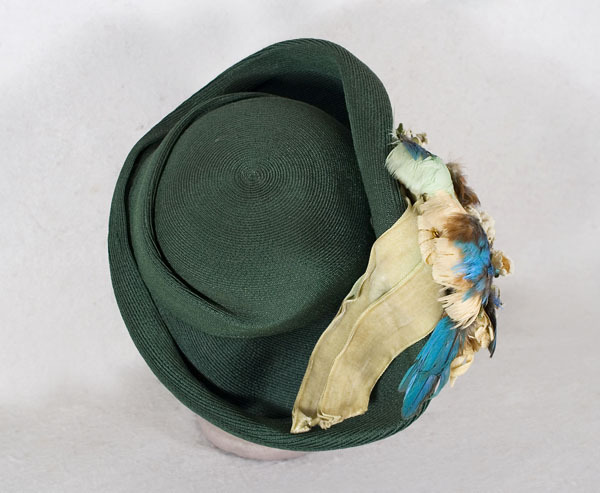 It's cocked up in front and has a beautifully draped crown. 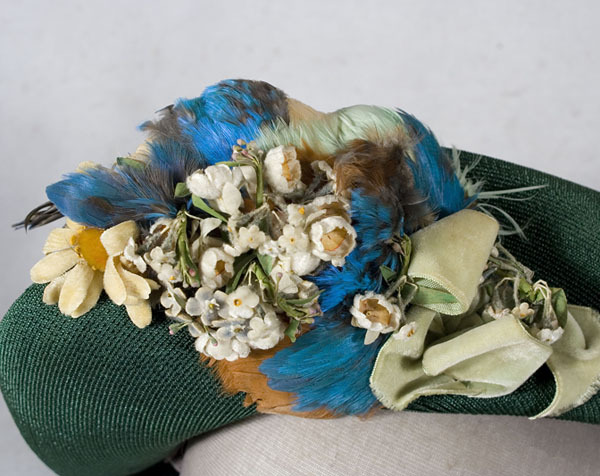 It's trimmed with light green ribbon, white flowers, and blue and brown feathers. On that note, I'm going to go make a hat. Delightful! 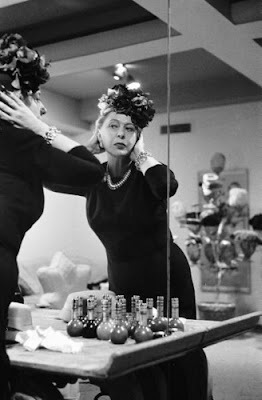 I love her story, and those B & W images of her... such a classy lady! You make me want to read the biography again, so inspiring. You can make a zillion dollars too, Tricia. You're an amazing milliner and people love you! 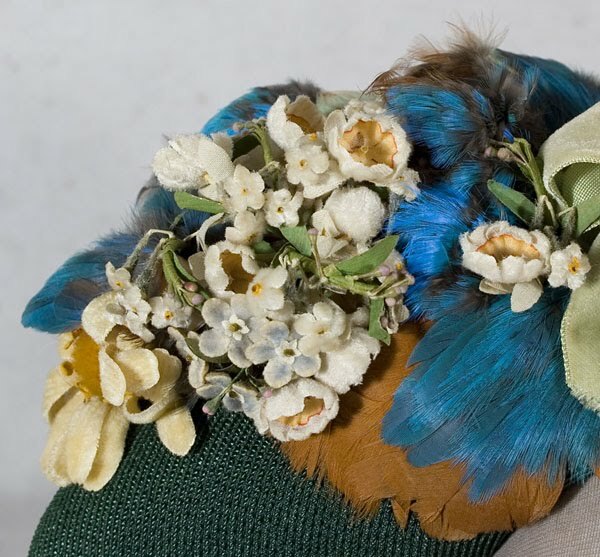 See you at the deYoung Friday! Thanks for posting about her. Truly inspiring. Btw, I love your hats! I'm new to blocking but am learning anything I can as fast as I can. Fun! That is one of my most favorite books, don't know how many times I have read it! I always find it so inspirational! 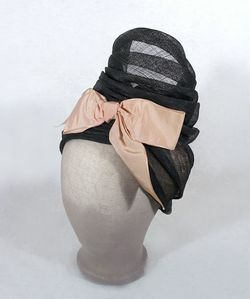 Ms. Dache was amazing, one of my all-time favorite milliners!